I was always one of the the tallest girls in class growing up, and was told by a few guys in college, “Wow, you’re a big girl.” Pro Tip: Guys, don’t EVER say that to a girl. It’s never okay. In any circumstance. Ever. Anyway, yes, my body overall is larger, (5’10.5”), than most of my contemporaries, (women of every age, everywhere), but there is only so much surface area I can reduce, and honestly, I don’t want to. I love my body. I have certainly had many occasions when I say out loud after seeing myself in a photo or just catching a full length look in the mirror and say, “Sheesh, I am huge!” But, then that feeling fades, because I am who I am, and what I really want to be is strong and healthy. In fact, I have embraced strength over lightness for as long as I can remember. I credit my parents, siblings, friends, and most importantly, my weightlifting P.E. teacher from high school, Coach Kaiser, for instilling the belief that strength is beautiful. 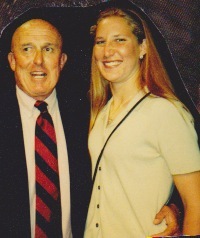 June 1997, Coach Kaiser and yours truly at the Senior awards banquet. I have discovered in daily life, and in all of my adventurous athletic activities, that more often than not, strength comes in handy. For example, I was proud and grateful to run last week’s Boston marathon in my tall, strong, healthy-fat infused body from Hopkinton to Boston. She held out just fine in the less than ideal weather conditions. This big-boned lass also hung tough climbing a mountain twice last July in Alaska. 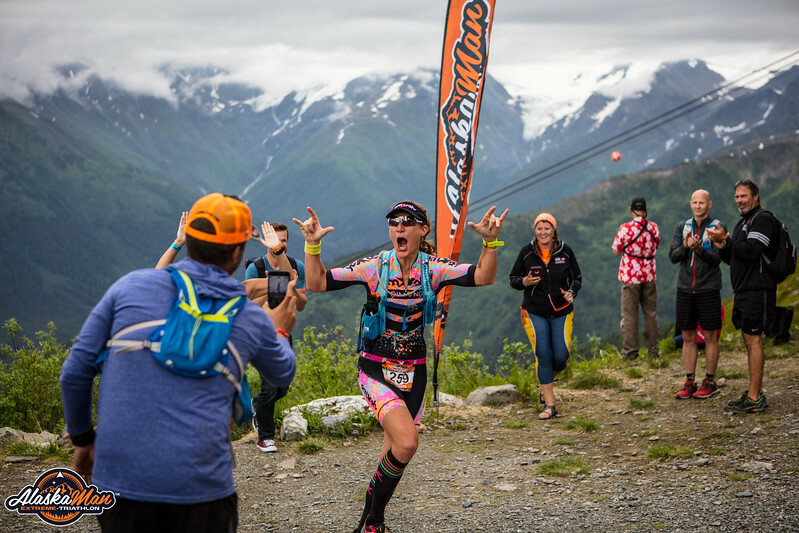 Steps from the finish line at Alaskaman. Imagine having a team of professionals, literally two to four people who get paid many, many dollars per hour to put forth their best effort to smooth out your natural imperfections. Next, imagine having your clothes tailored to fit your exact measurements, (not an approximation that umbrella’s the masses, but your exact size), you’d look and feel incredible. Finally, imagine having your nearly perfect physical depiction shot on screen be put through another barrage of improvements. I am referring to visual effects artists at the top of their field who specialize in eliminating wrinkles, painting out moles and/or pimples that still rise through the caked on make-up, aka, beauty work. Is the final image real? NO! It is an utter fabrication of perfection twisted and transformed from the deliciousness of reality. I knew the truth about OZ in high school, because my step-sister was a model and used to spill all of the gritty details from behind the scenes, but I learned it first hand in my early twenties when I began my career in film and TV production. 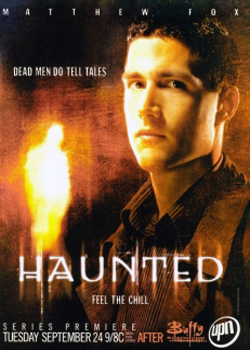 In 2002, I was the Key Set Production Assistant on the ill-fated show, Haunted, and learned very early on in production the magical powers of the hair, make-up, and wardrobe department. Our cast was gorgeous, but they weren’t cut from stone. They were human, just like me. “Thank you, Lynn.” And I was out. I couldn’t believe it! Big old Tomboy T was getting a compliment from our gorgeous and lovely lead; I felt like we had shifted into an alternate dimension, nope, this was real life. Lynn and I were neighbors in Venice, so I wasn’t too surprised that she saw me running at some point during our stint on the show, but the fact that she said something out loud in front of the hair and makeup artists, (all of which who were dear friends of mine and smiled wide and winked at me when she said it), was a valuable lesson to learn. There have been many admirable stories that have come out from the Boston marathon last week, and I am proud to be one of the fierce runners who crossed the finish line. I am also not ashamed to say that I was passed on the course by a few mightier ladies than myself. A few were taller, some were shorter, (I hope all were younger), but every single one of them was ripped for days and giving the race their all. I was inspired and honored to be among such strong, beautiful women. This photo of the women's winner, Desiree Linden, says it all. It was a tough race for all of us. There is no one definition for beauty. We all see it and feel it differently, but I am happy more often than not with what I see it in my reflection. It would pretty cool to have a glam squad, but because I believe strength is beautiful, triathlon training does the trick, too.